Ready to get behind the wheel of a luxury SUV in Charleston, WV? Browse our variety of Mercedes-Benz GLA and Mercedes-Benz GLC finance and lease offers below! Mercedes-Benz of Charleston has an extensive inventory, and we want to ensure that our customers get the best SUV offer available. Before you buy, be sure to find out which SUV is right for you! Aside from our rotating Mercedes-Benz finance specials, we also strive to provide the best customer service possible to the Beckley, WV area. 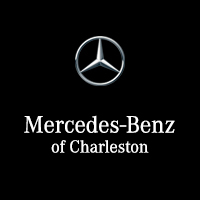 If you’re in the Huntington area and are searching for the perfect luxury SUV, we hope you rely on Mercedes-Benz of Charleston for all things auto!